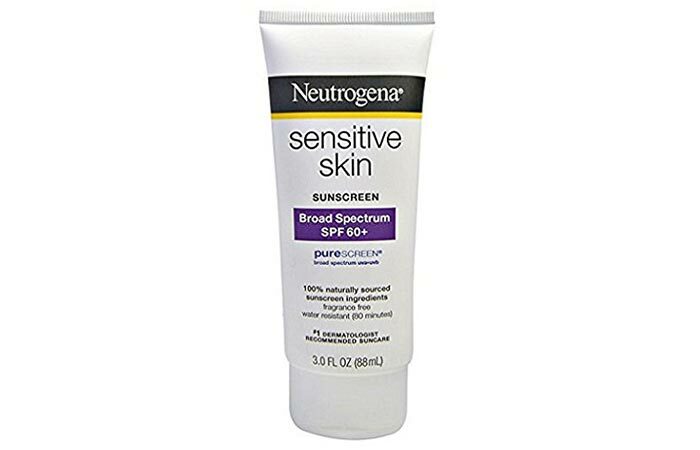 Picking the right sunscreen for sensitive skin is a challenge. 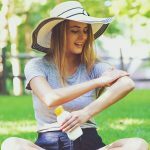 Merely checking the SPF is not enough – you need to be cautious about what you are putting on your face. Most sunscreens contain chemical ingredients to block UV rays, and any of the ingredients can irritate your skin. Fortunately, some brands cater to those who have sensitive skin. 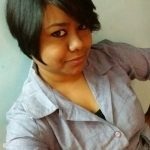 Below is a list of 15 best sunscreen lotions for sensitive skin that you can try. 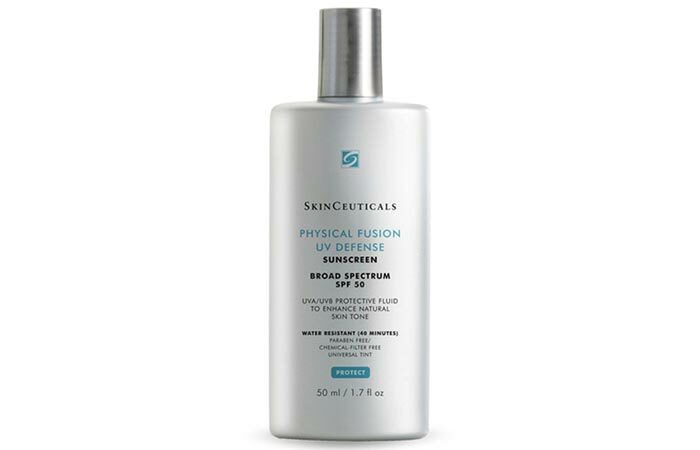 This sunscreen will protect your skin from sun damage as well as dark spots, redness, fine lines, and inflammation. This is why this sunscreen consistently ranks well in the EWG ranking system (Environmental Working Group database). 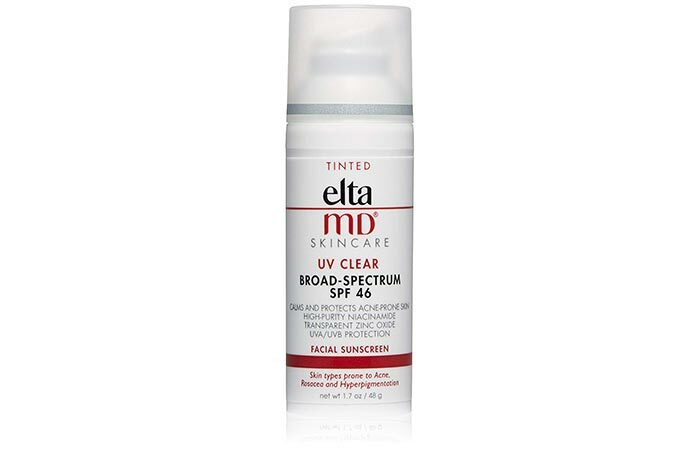 This is a chemical-free tinted sunscreen that you can use as a BB cream to prime, cover, and protect your skin. This facial sunscreen contains niacinamide that calms your sensitive skin and protects it. It is especially beneficial for those who have rosacea and acne-prone skin and discoloration issues. It is incredibly lightweight and easy to apply. This is a mineral-based sunscreen that is free of harmful chemicals. 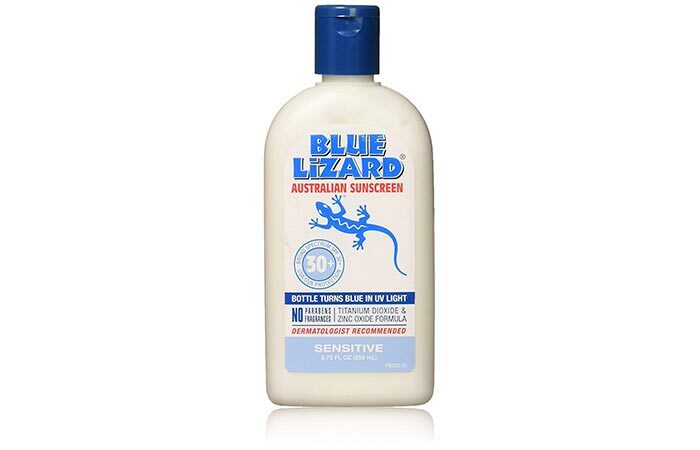 It is a broad spectrum sunscreen, and the best part is, the bottle turns blue when exposed to UV rays. In this way, it also reminds you to reapply sunscreen. This lightweight sunscreen contains squalane and argan extracts that prevent skin damage caused by environmental stressors. The micronized ingredients spread fast and blend evenly. 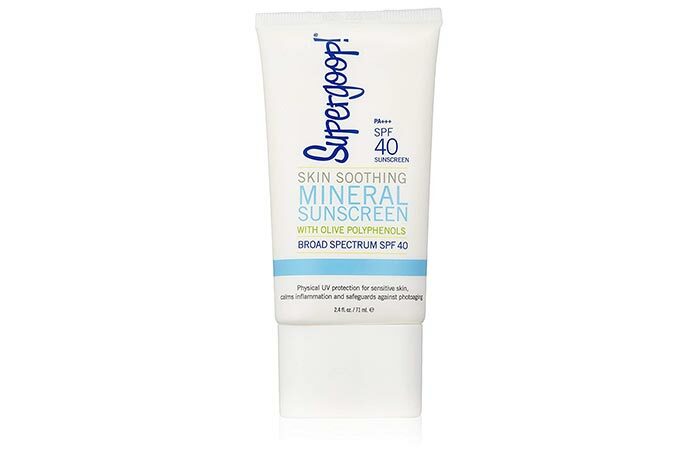 This sunscreen is perfect for normal, combination, and sensitive skin types. It is a tinted sunscreen that contains 100% mineral filters that are incredibly gentle on your skin. It provides a broad spectrum of coverage and gives a radiant finish. It contains plankton extracts that boost your skin’s resistance to the stress induced by UV rays and heat. 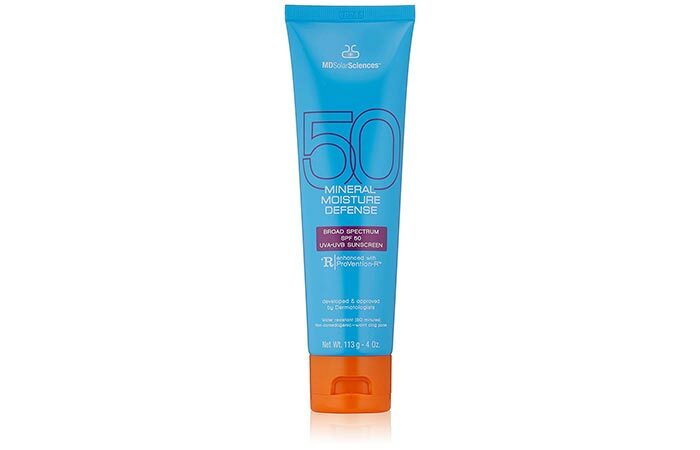 This is a mineral-based sunscreen, which means it doesn’t contain UV-absorbing chemicals that often irritate sensitive skin. It has an oil-free formula and contains ceramides. It locks in moisture and keeps your skin hydrated. 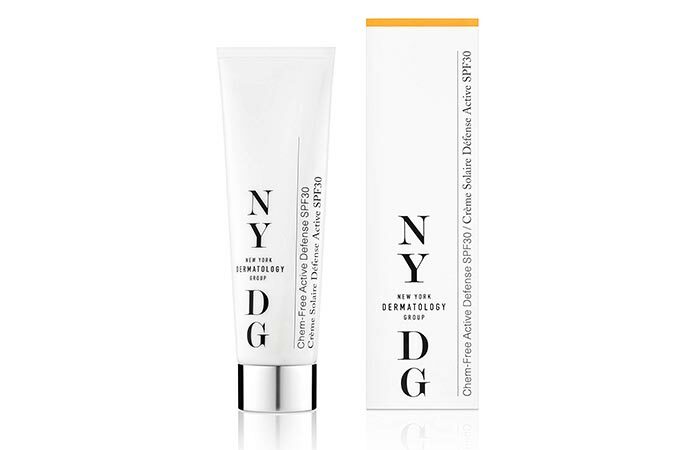 This sunscreen also helps repair your skin’s natural barrier and prevents photoaging. This lightweight sunscreen contains zinc oxide and moisturizing ingredients, such as beeswax, vitamin E, and sunflower oil. These ingredients soothe your skin and also strengthen its natural defenses. 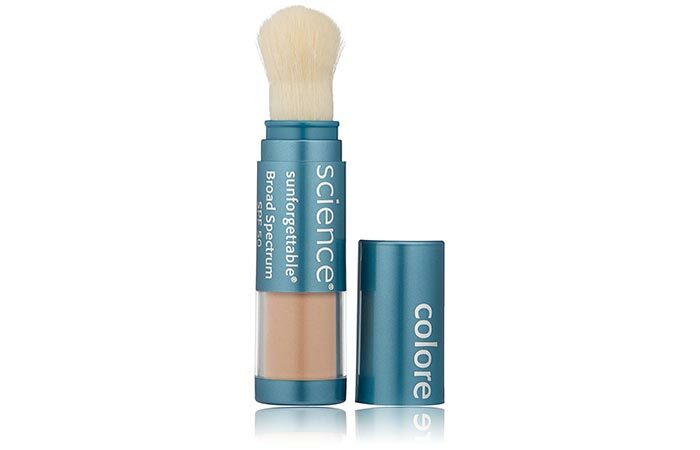 If you are tired of applying (and reapplying) sunscreen lotions and creams, try this lightweight mineral powder. It has a brush applicator with which you can simply dust your face, and you are good to go. It comes in a variety of shades (to match your skin tone) and protects your skin throughout the day. The formula of this sunscreen is pure love for sensitive skin. It is good for skin that is prone to breakouts, rashes, and hives. It has a non-greasy formula that will not weigh your skin down. 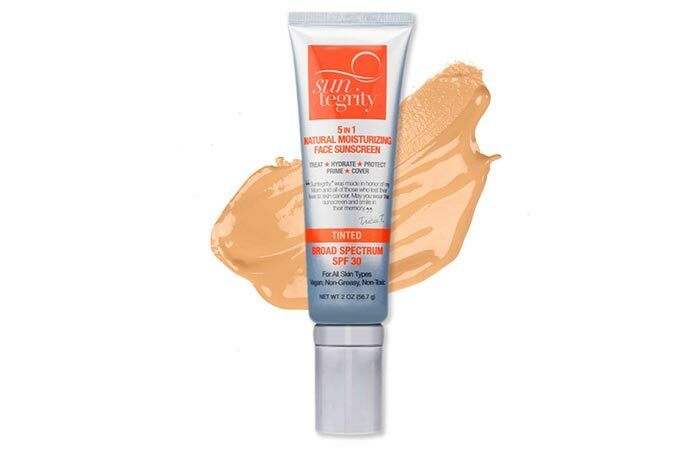 This is sunscreen is oil-free and lightweight. It is easily absorbed and provides a broad spectrum of sun protection. It is formulated with purescreen technology that uses ingredients that are 100% naturally sourced. It is also suitable for people with eczema (approved by the National Eczema Association). 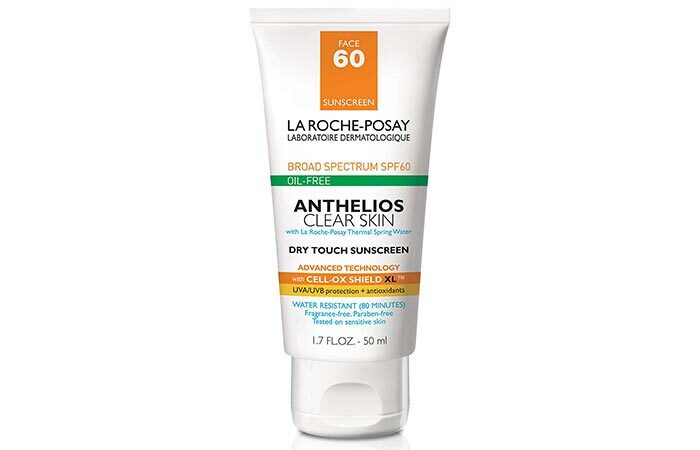 This lightweight sunscreen does not clog your skin pores and offers the highest sun protection. It contains antioxidants that keep your skin healthy and glowing. 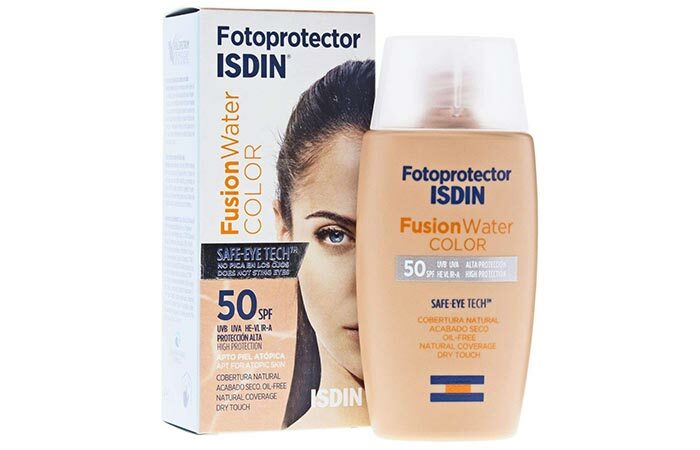 It protects your skin from both UVA and UVB rays. This has an ultra-light and ultra-smooth texture and sinks into your skin instantly. It doesn’t leave behind a glossy finish and a whitish cast on your skin. It prevents tanning, keeps your complexion even, and provides wide coverage. This sunscreen doesn’t feel sticky on your skin and is ideal for acne-prone skin. 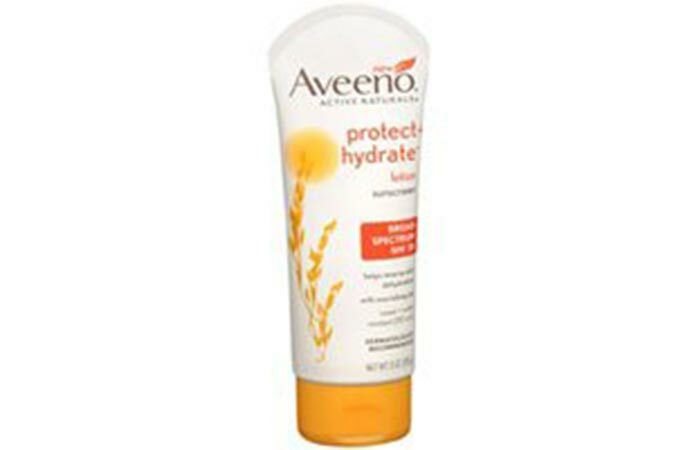 It contains avobenzone, which is an FDA-approved chemical for protecting the skin from UVA rays. 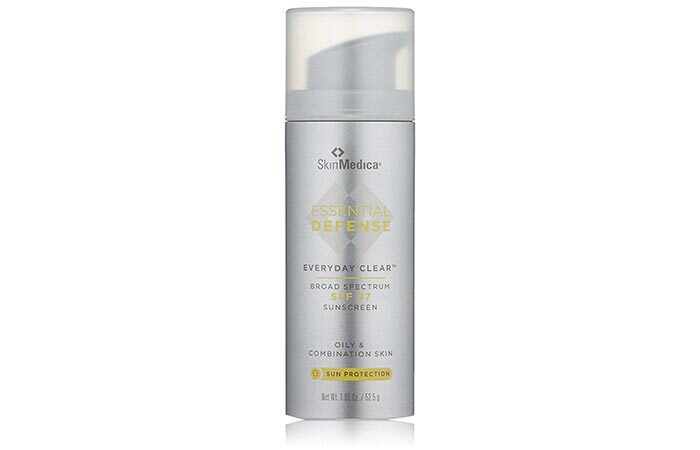 It is formulated with the advanced cell-ox shield technology and is suitable for sensitive skin. Leaves an ashy residue on the skin. It contains olive polyphenols that prevent redness and irritation and calm your skin down. 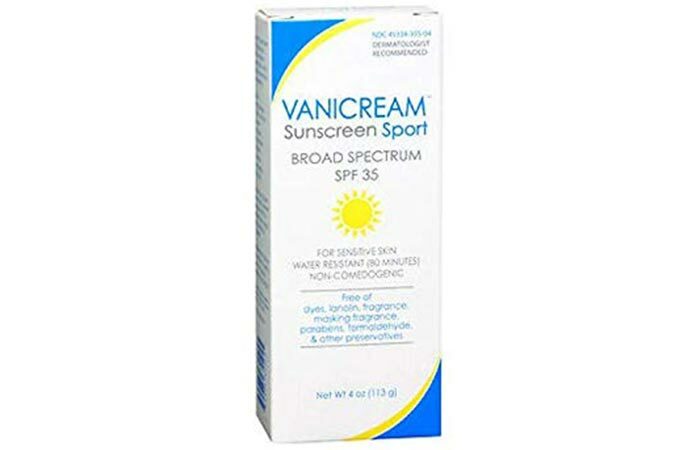 It is a lightweight sunscreen that contains zinc oxide. After you apply it, the sunscreen forms a protective barrier on your skin immediately and blocks UV rays. It can be used on the face and other body parts. 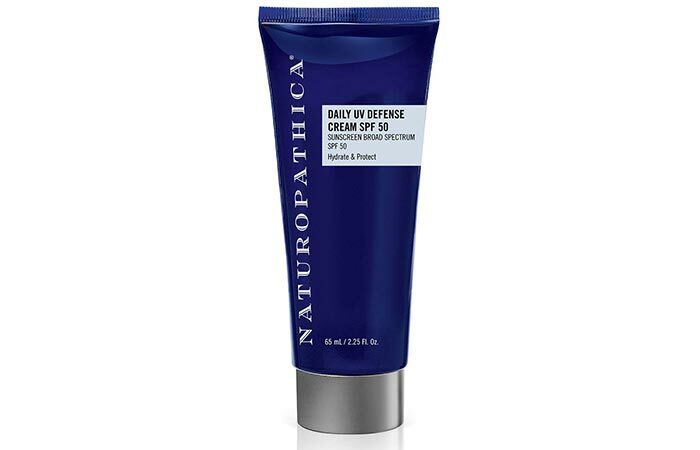 This ultra-moisturizing sunscreen lotion protects your skin against both UVA and UVB rays. The formula of this sunscreen contains oats extracts that keep your skin hydrated, protect the skin barrier, and also calm it down. This sunscreen is perfect for daily use. Go ahead and pick the sunscreen you like. Share your experience and feedback with us in the comments section below.